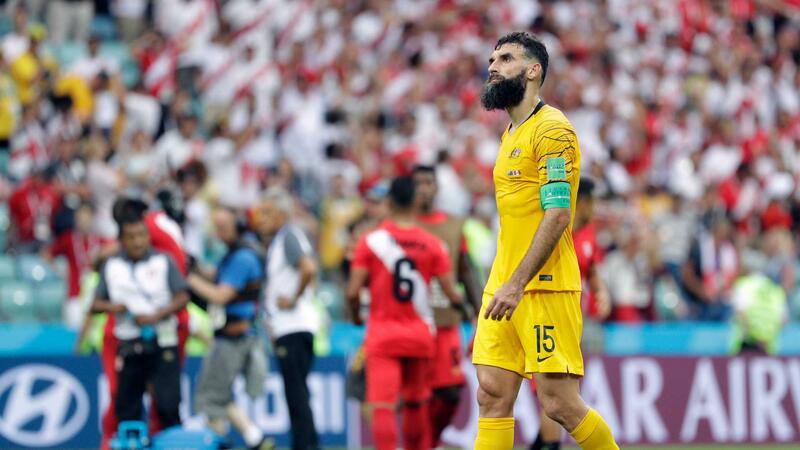 The Socceroos’ transition following the World Cup continues, with veteran skipper Mile Jedinak announcing his immediate retirement from international football. The midfielder, who was part of the Australian team that failed to get out of the group in Russia, took to social media to reveal his decision. 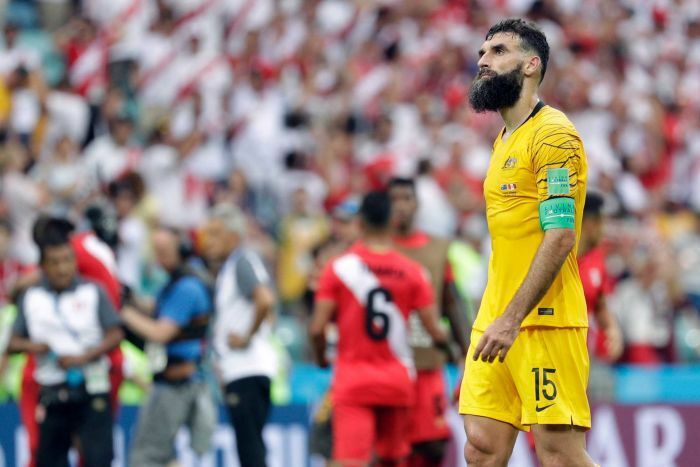 “I can confirm that after much deliberation I have made the decision to retire from playing international football,” Jedinak posted on Instagram. “As a young boy growing up it was my dream to play for Australia and to pull on the famous green and gold shirt to represent my country. “To have been given the opportunity to not only fulfil that dream, but to have done it 79 times, and many of which as captain, makes me incredibly proud and thankful. “I gave everything I had in every single game I played to try and achieve success for our nation. “I’ve tried to do you all proud every time I’ve stepped out onto the pitch,” he said. Jedinak made his full international debut against Singapore in 2008. The man born in Camperdown in Sydney first captained his country against Ecuador in 2014, before being named by Ange Postecoglou as skipper for the 2014 World Cup in Brazil. In Russia this year, Jedinak was again skipper for the World Cup tournament. He was Australia’s top scorer in a tough tournament for the Socceroos, scoring a penalty in a 2-1 loss to France in the opening group match. The skipper also scored from the spot in Australia’s 1-1 draw with Denmark in Samara. Australian coach Graham Arnold paid tribute to the retiring skipper. “Mile has been a great leader for the Socceroos and a great player for Australia,” Arnold said in a statement. “He is held in fantastic regard by his teammates, the coaches and staff that have worked with him, as well as the fans. Jedinak scored 20 goals in his 79 caps for Australia, was part of the Socceroos’ Asian Cup win in 2015 and played in three World Cups overall for the green and gold. His announcement follows last month’s confirmation that fellow Australian veteran, Tim Cahill, will have a farewell game in the national colours against Lebanon on November 20.